Grand Theftendo, the precursor to the multi-award winning Xbox LIVE Arcade and WiiWare title, Retro City Rampage will finally be shown in action at the Independent Games Summit at GDC Tuesday March 1st. Grand Theftendo was a homebrew demake of Grand Theft Auto 3, and an actual NES game which ran on the original hardware. Brian Provinciano developed Grand Theftendo entirely by himself, working part-time on it for years, building his own NES development hardware, the software and art as well. The project began at the end of 2002 and was announced to immense coverage in fall 2004 when San Andreas launched. In 2006, his focus shifted to creating an original title for modern platforms instead, that title being Retro City Rampage. Retro City Rampage retains the original 8-bit open world crime spree vision while beefing it up tenfold with enough action and sprites to make an NES explode! Development details and history regarding the game will be presenting during the developer’s talk Tuesday March 1st at 1:45PM at the Independent Game Summit as part of the talk titled “The Next Steps of Indie: Four Perspectives”. The developer will show the game in action, the tools build to create it, some source code and finish the talk by showing off the new tools used to create Retro City Rampage and how they optimized development so it could remain almost entirely a one man project. Retro City Rampage, the open-world action party is a multi award winning game, selected as one of the PAX 10 last year and is nominated for this year’s IGF. It will be playable at the IGF booth during GDC Wednesday March 2nd-4th. 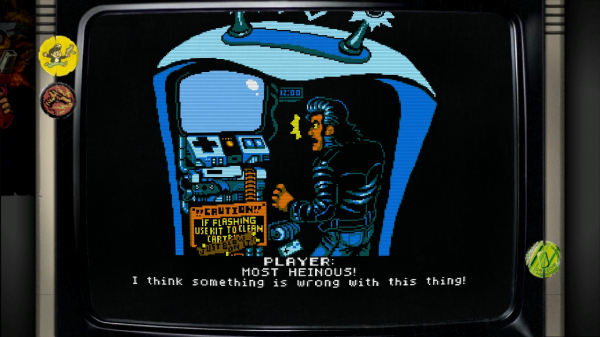 Retro City Rampage is slated for this summer on Xbox LIVE Arcade followed by a WiiWare release in the fall. Creator and developer of the multi-award winning open-world parody Retro City Rampage, Brian currently runs Vblank Entertainment, a licensed developer for Xbox 360, PlayStation 3, PSP, Wii and Nintendo DS. As an indie, he wears just about every hat there is, from programming to design, art, bizdev and PR. He’s commercially developed for every console and handheld of the past decade and even built his own NES devkit on the side!